For an inspired and invigorating tour of Canberra – one filled with fascinating stories, local know-how and all the best photo spots – jump in the saddle for a guided half-day bike tour with Canberra Bike Tours. 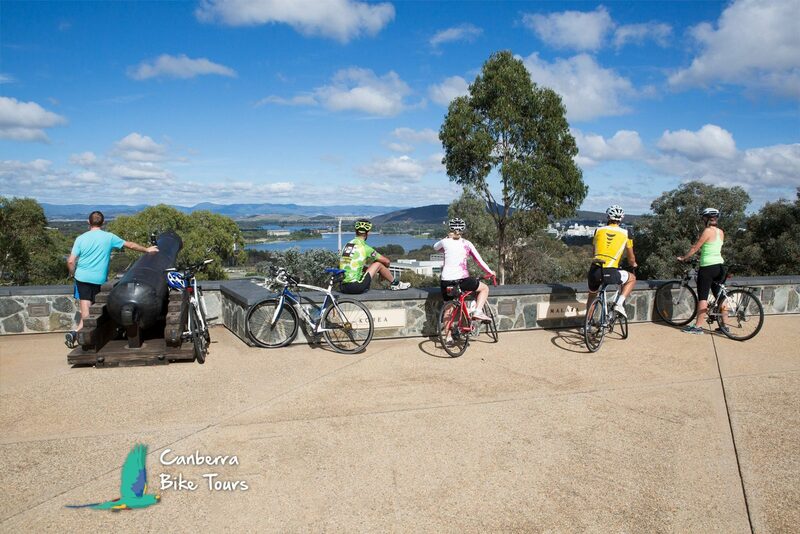 Operated by the experienced and proudly local team of Mulga Bicycle Tours, Canberra Bike Tours is the ideal way to explore Canberra’s historical, cultural and natural delights. These relaxed tours are between 4 and 6 hours long and use a mix of shared paths, quiet streets and roads. Mostly flat or with gentle inclines, they suit anyone who is relatively fit and knows how to ride a bike. The price includes your guide, bike, helmet and a small bike bag to carry your gear. Some tours include a light lunch. Visit the website for more information. Tours may also be tailored tours to suit you, including private groups or help organising your own cycling holiday. Simply contact them with your wish list and they’ll bring your ideas to life. Looking for something more ambitious? Join a Mulga Bicycle Tours multi-day tour around Canberra and surrounding NSW. Average daily distance is 56km. Contact Mulga Bicycle Tours for details. The Canberra Highlights 4.5 hour Guided Bicycle Tour provides the perfect orientation to the Australia’s national attractions. One of the city’s iconic views is the large Australian flag flying from Parliament House. Spread out below is Lake Burley Griffin and the park lands of the Parliamentary Triangle home to many of Australia’s social and cultural attractions. 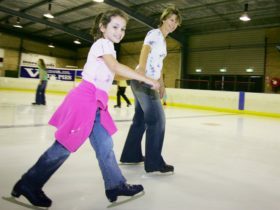 Ride through the park lands and pass attractions including the National Museum of Australia, the Museum of Australian Democracy, the National Archives of Australia, the High Court of Australia, the National Gallery of Australia, the National Portrait Gallery, Questacon, the National Library of Australia and the Australian War Memorial. Take rest stops throughout the tour to hear stories and take photos. Enjoy a light lunch at one of the many cafes and restaurants in the new Kingston Foreshore urban renewal redevelopment. On the way the tour passes through the Kingston Arts Precinct, home to the Canberra Glassworks and the award winning Old Bus Depot Markets. 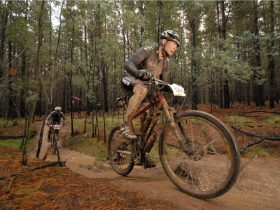 Cycle through picturesque Australian bush on the Tidbinbilla Nature Reserve 6 Hour Guided Bicycle Tour. Make stops along the 16 kilometre loop road to soak in the views and observe the native animals and birds. Tidbinbilla Nature Reserve is home to a multitude of native animals including kangaroos, wallabies, emus, echidnas, koalas and platypus. 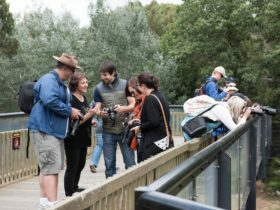 Take a leisurely stroll through the Sanctuary and Eucalypt Forest enclosures, where there’s a chance of a close encounter with brolgas, pelicans and magpie geese. You may even see a platypus, a koala or a Lyrebird. This tour contains some short climbs so guests will require some bike fitness. This guided bicycle tour is a shorter version of our Capital Highlights Tour and runs from December to March to take advantage of the long summer days. 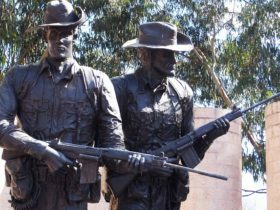 Begin with a stop at the Australian War Memorial to witness The Last Post Ceremony. 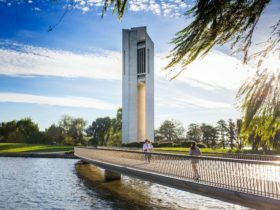 Leaving the War Memorial you then follow the Canberra Centenary Trail down ANZAC Parade to Lake Burley Griffin, passing many of the national institutions, Parliament House, and the National Gallery’s Sculpture Garden and James Turrell’s Skyspace. Stop for a bite to eat at “Snapper on the Lake”, an outdoor eatery popular with Canberra locals, and then conclude the evening with a short ride back to the starting point. The cost of food and drink is not included in the tour price.